Sometimes, a magician ISN’T the perfect solution for your event. 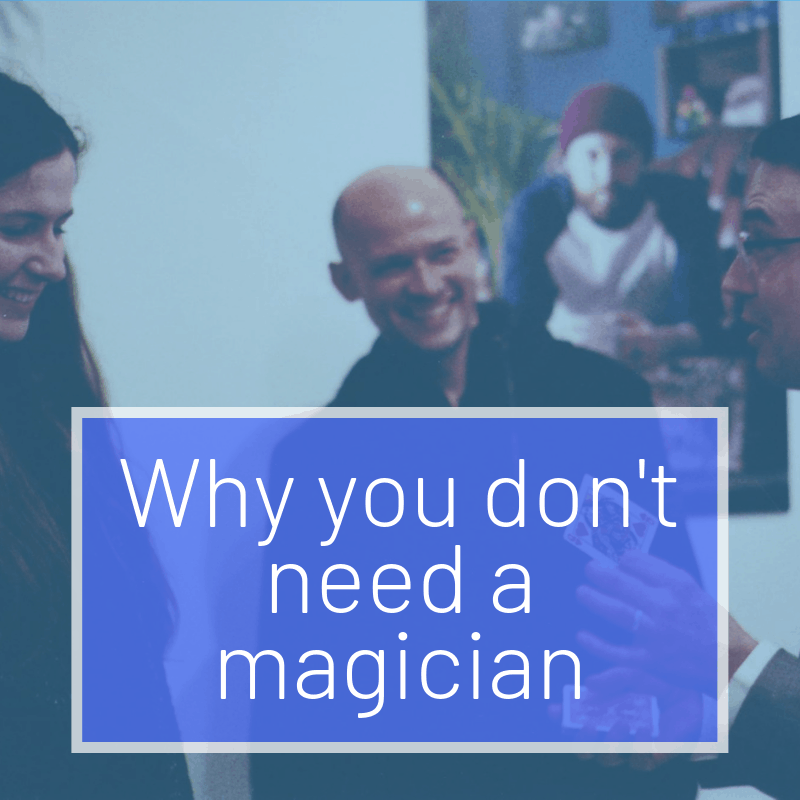 Here’s the truth, if you’re planning a wedding or corporate event and you notice lots of gaps during the day – times when there is nothing going on – times when you’re REALLY worried about your guests being bored, then a magician is a great call. As walkaround entertainers, we can keep everyone happy during the “lull” moments of your day, making them smile, laugh and interact with one other – so that YOU don’t have to! Magicians can take away those “oh-my-god-my-guests-are-going-to-be-totally-bored-and-post-horrible-things-about-my-wedding-on-Facebook” feelings you have in the belly of your stomach. However, if you’re looking at the plan of your event and thinking, “Holy heck, I have SOOOOOO much stuff to cram into this preschool graduation ceremony…it’s going to run until 3am!” and wondering whether to drop the Zambuca drinking contest or the rude balloon animal bit*, then a magician probably isn’t the best call. Magicians plug gaps. We fill lulls. We fearlessly wander into the dreaded “other” bits of your wedding or corporate event and make them memorable. If you’re looking at your plan and seeing lots of lulls, call a magician. If you’re looking at your event plan and seeing too much stuff, get an eraser. * You should NEVER drop the rude balloon animal bit – it’s AWESOME!